The fifth generation Renault Clio is officially out. Below is a pictorial comparison between the MY2019 and MY2016 (facelifted, fourth generation) models. The 2019 Renault Clio is 14 mm shorter, 67 mm wider and 8 mm lower than its predecessor. The exterior of the 2019 Renault Clio looks evolutionary, although it’s certainly a lot sharper and more expressive. 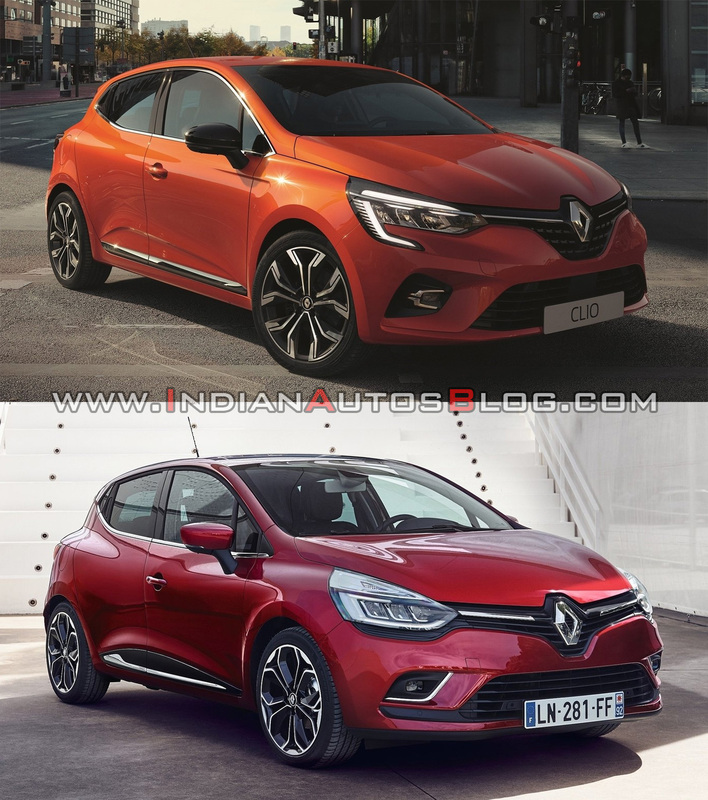 At the front, the upper grille housing the Diamond logo and the central air scoop have a bigger footprint now, and the sleek-new full-LED headlights are equipped with the C-Shape light signature that is seen on most new global Renault models now. The bonnet now features creases in the centre, giving the car’s face more character. On the sides, the all-new Renault Clio has a sleeker greenhouse and more strongly carved out character lines. The rear-end looks cleaner and bolder with the redesigned tailgate and bumper, and especially the bigger combination lamps featuring a new C-shape light signature with a particularly strong effect of depth. Up top, again, there’s a pole antenna in the era of shark fin antennas. 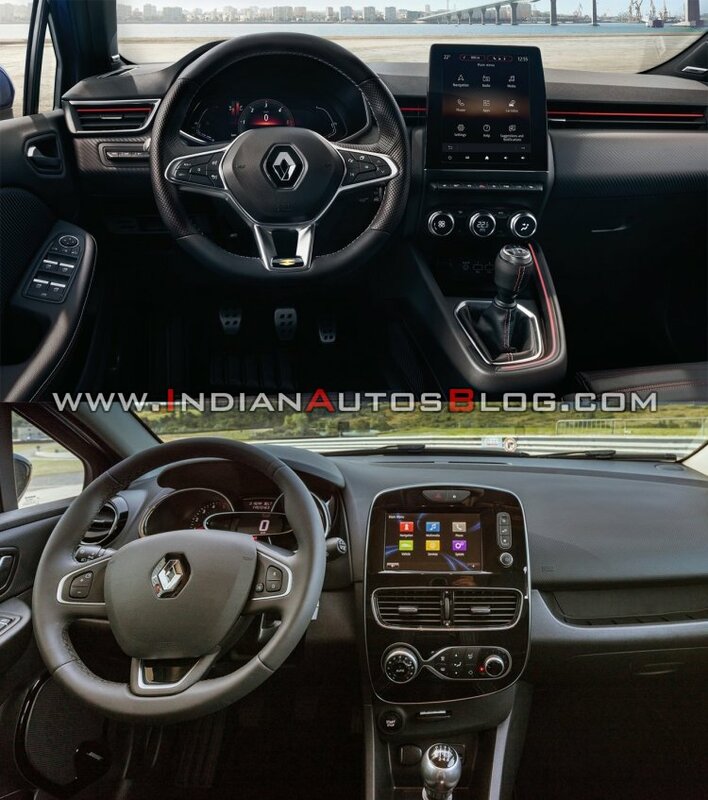 The Renault Clio didn’t have a very attractive interior previously, and that is the aspect the design team had a strong focus on while working on the model change. The cabin has undergone a revolutionary makeover, adopting a much more high-tech and classier design. The entirely redesigned dashboard is divided into three parts: a top panel with a foamed coating, a coated and customisable central panel, and a lower area housing functional components. The horizontal form of the central and side air vents heightens the impression of extra visual width created by the dashboard’s wave-like shape. The new steering wheel looks more elegant and has a more compact design, which results in improved dashboard visibility. For the first time, there’s a fully digital instrument cluster in the French supermini, measuring 7 to 10 inches, the 10-inch version including GPS navigation in the display. The new central display is a 9.3-inch screen - the biggest ever in a Renault model. The seats have a longer base and a more enveloping shape offer more comfort to the driver and passengers. The fifth generation Renault Clio debuts the CMF-B platform. 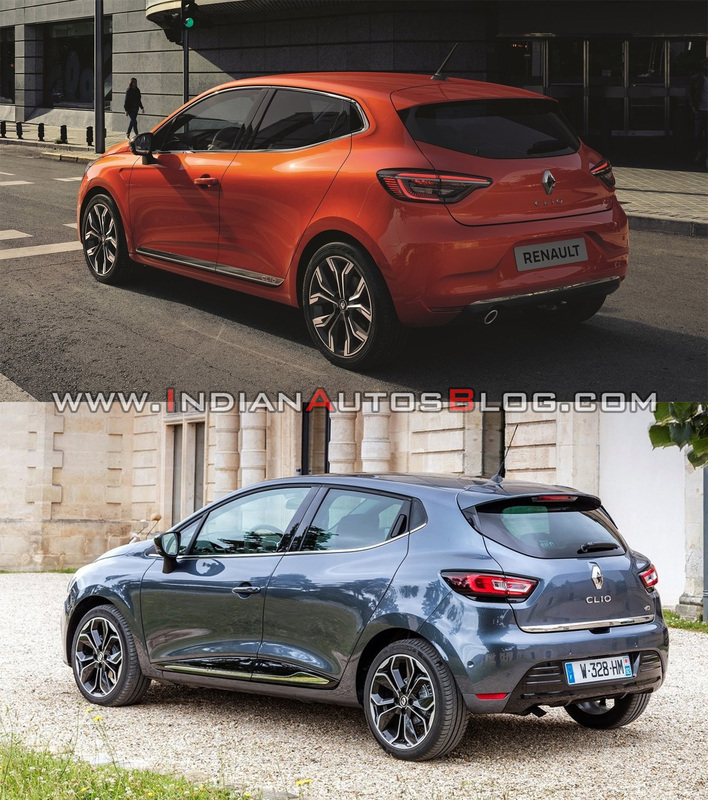 The 2019 Renault Clio is 4,048 mm long, 1,798 mm wide and 1,440 mm tall. Compared to the outgoing model, it is 14 mm shorter, 67 mm wider and 8 mm lower. The boot space has increased by 26 litres 391 litres. The fifth generation debuts the CMF-B platform. Renault hasn’t revealed the engines and transmissions of the all-new Clio. All it has said is that it will offer this model with an E-Tech hybrid engine - a first for any of its models to the date. The 2019 Renault Clio will have its world premiere at the Geneva Motor Show on 5 March. This upmarket Hyundai i20 rival isn't planned for a launch in India.